The Times of Israel reports: Israeli tanks struck two Hamas posts in the Gaza Strip Friday evening after a grenade was hurled at troops and amid intense violence during mass riots in several locations along the border. The strike came as Hadashot TV news reported that Israel is denying it ever agreed to a ceasefire with Hamas. Around 9,000 Palestinians were participating in weekly border protests. Some protesters were rioting near the fence, throwing makeshift bombs, Molotov cocktails and rocks at Israeli soldiers and burning tires to create a smokescreen. In one incident a grenade was thrown towards Israeli troops, but caused no casualties. Several attempts were made to breach the security fence. …Some rioters flew incendiary kites and balloons into Israel. Israeli officials said at least six fires had broken out in Israeli territory since the morning due to airborne arson attacks. 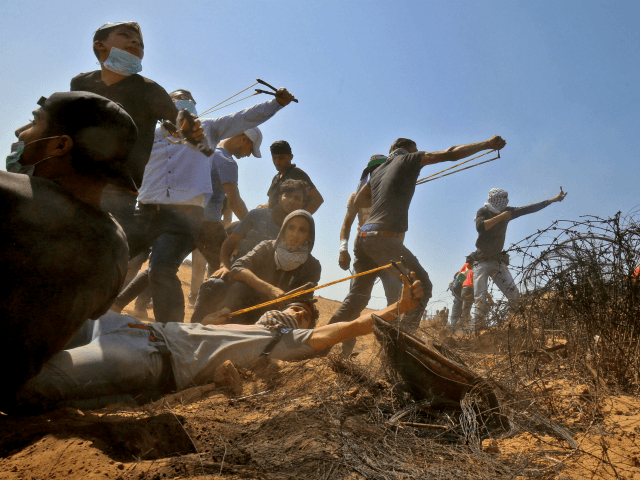 Hamas had earlier said the so-called “March of Return” border demonstrations would continue unimpeded, despite its announcement of cessation of hostilities with Israel the night before.